TBH I'm not a huge sweets kinda gal. I'll take a piece of fried chicken over sweets any day lol! One night my cousin Taylor and I had din din, but afterwards we both wanted something sweet! 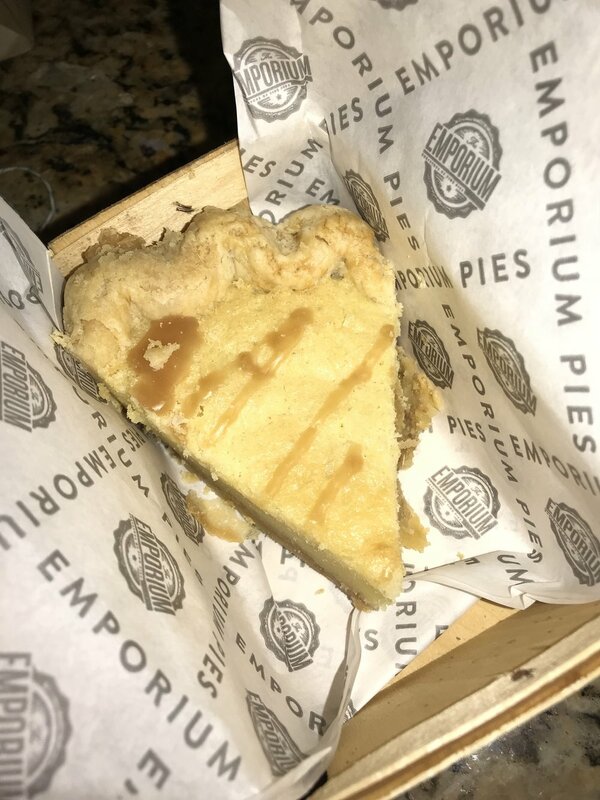 We were in Bishop Arts and stumbled upon Emporium Pies. There was a line outside to get into the door in 40 degree weather, so I knew it had to be yummy! We both got the Hot Cake Pie and it didn't disappoint! If you're ever in Bishop Arts and get a sweet tooth, stop by and fill your craving!